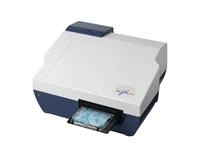 The Anthos Zenyth 200 is a high performance microplate reader and cuvette spectrophotometer providing an indispensable research tool for Life Science and Pharmaceutical research laboratories. The Biochrom Anthos Zenyth 200 Microplate Readers are monochromator based systems with the ability to read at any wavelength in 1nm increments between 190 - 1000 nm. The instruments have temperature control, and the ability to read 6 - 384 well microplates with the standard ANSI SBS footprint. In addition to microplate assays, cuvette assays can also be performed using the built-in UV/Vis spectrophotometer. The monochromator based system allows wavescanning; multiple measurements at different wavelengths in the same well, important for contamination detection, sample purity, optimal peak absorbance detection and product formation studies, as well as linear scanning for verification of agglutination and coagulation and area scan for precipitation and insolubility studies. There are two versions, stand alone and PC controlled. The ADAP Basic PC software package, supporting user administration, device control, data storage and export, kinetic data reduction, scanning and shaking is included. The ADAP Basic software can be upgraded to ADAP Prisma, that adds two powerful modules, an ELISA module and a Quantitation/Characterization module allowing the user to adapt individual requirements to specific applications. The standalone version Zenyth 200st has software equivalent to ADAP Prisma built in. The main application areas are the concentration and purity of nucleic acids, endpoint and kinetic ELISA, direct and colorimetric quantitation of proteins such as Bradford, Lowry and BCA assays, cell based assays for cytotoxicity, cell proliferation, apoptosis and reporter assays, and enzyme kinetics including activity determination of purified enzymes or from cellular fractions. The Zenyth 200 can be used for cell based assays in which shaking is required to keep cells in suspension.